What if you could put more than 250,000 ready-to-use coupons in the palm of your customers’ hands? 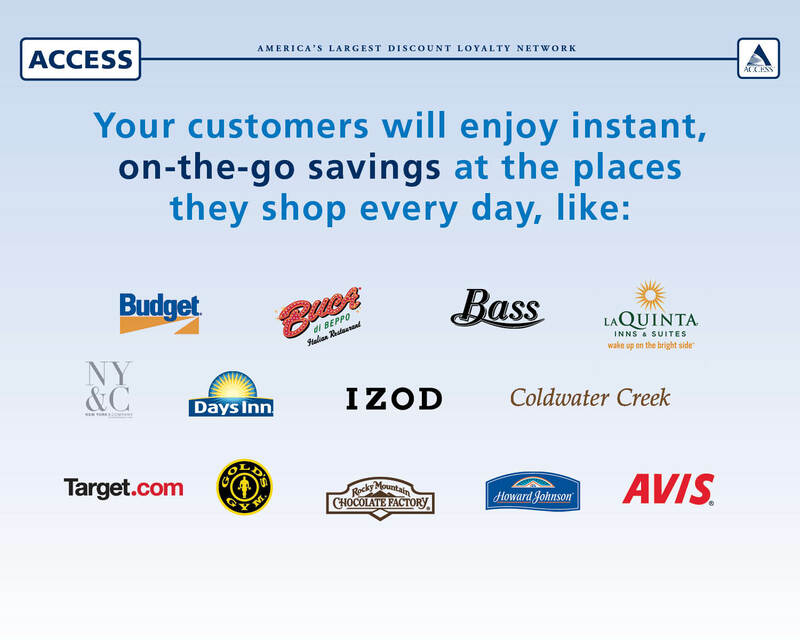 Not just any deals, but savings of up to 50% at neighborhood restaurants, retail stores, hotels, auto shops and more, redeemable in virtually every market in America. 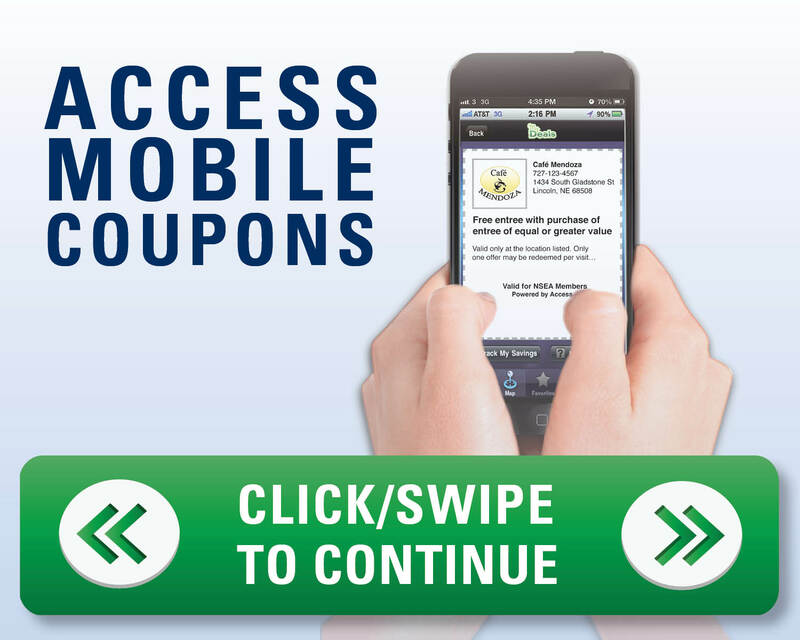 Now with America's largest "show your phone" mobile discount network and coupon app, you can. 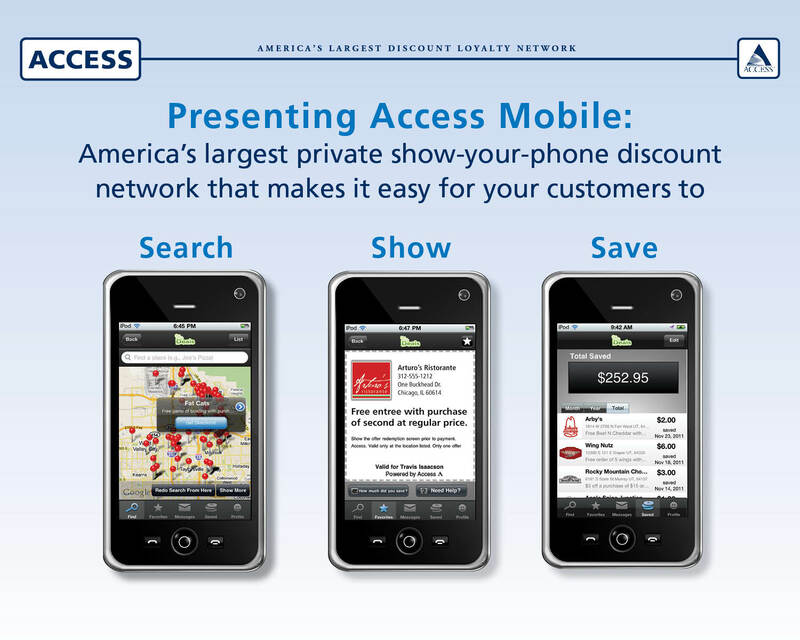 The Access Mobile app is different. 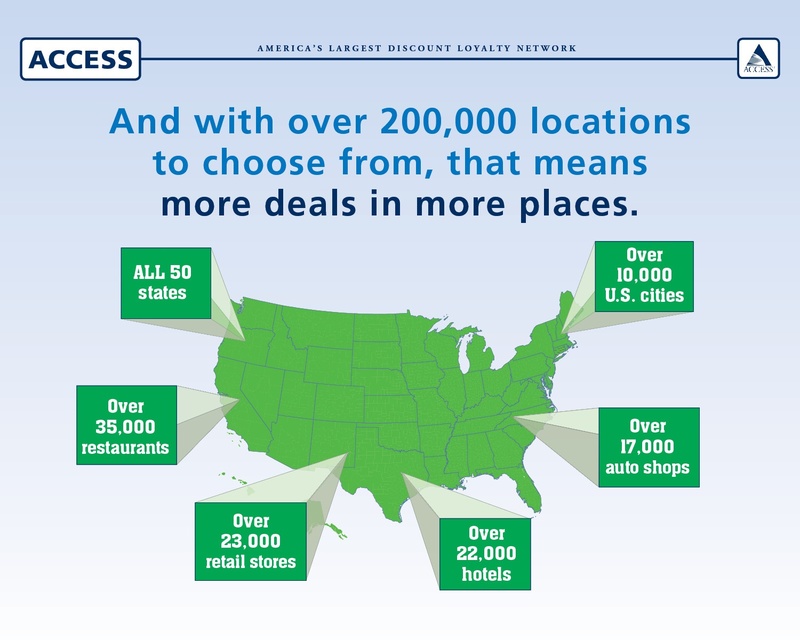 Not only does it use GPS functionality to find the nearest deals, but its on-screen coupons are welcomed at over 250,000 merchant locations throughout America – with no printed coupons necessary, and no confusion at the point of sale. 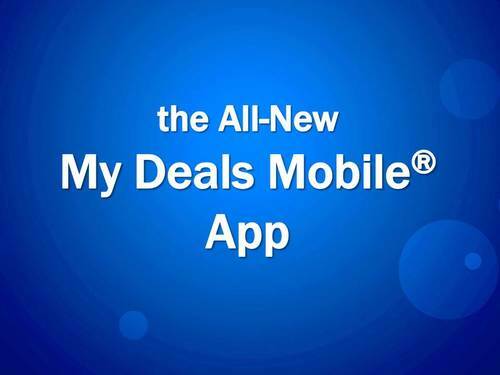 The non-branded version of the app, My Deals Mobile, can be instantly downloaded within iTunes or the Android Market. To activate the app and access the deals, a unique registration code is required, ensuring that the program remains exclusive to select organizations. Network content can also be accessed via an API or file integration protocol, which enable select organizations to integrate the data directly into an existing mobile app. 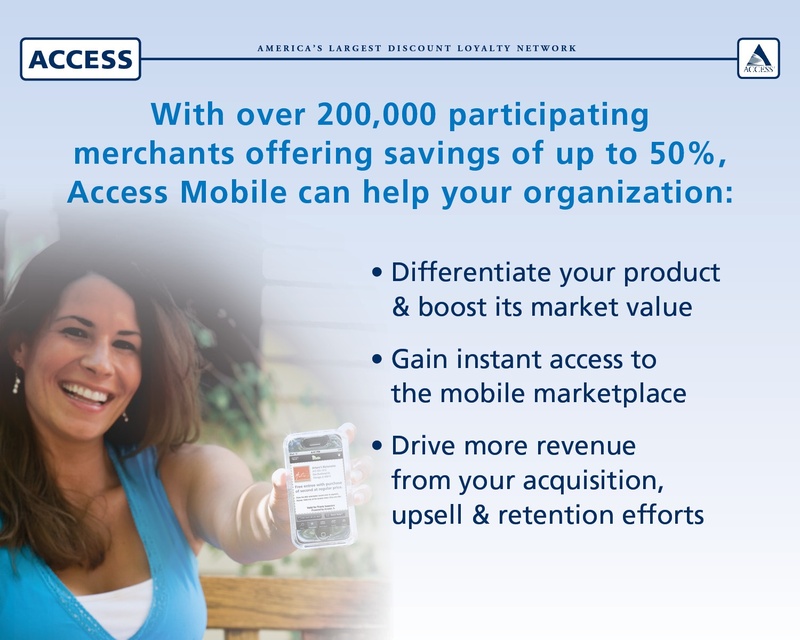 Access mobile coupon offers are available in over 10,000 U.S. cities, as well as the top 1,000 markets in the United States. Our collection of mobile coupons spans both national brands and local merchants in such popular categories as dining, shopping, hotels, recreation and auto services. 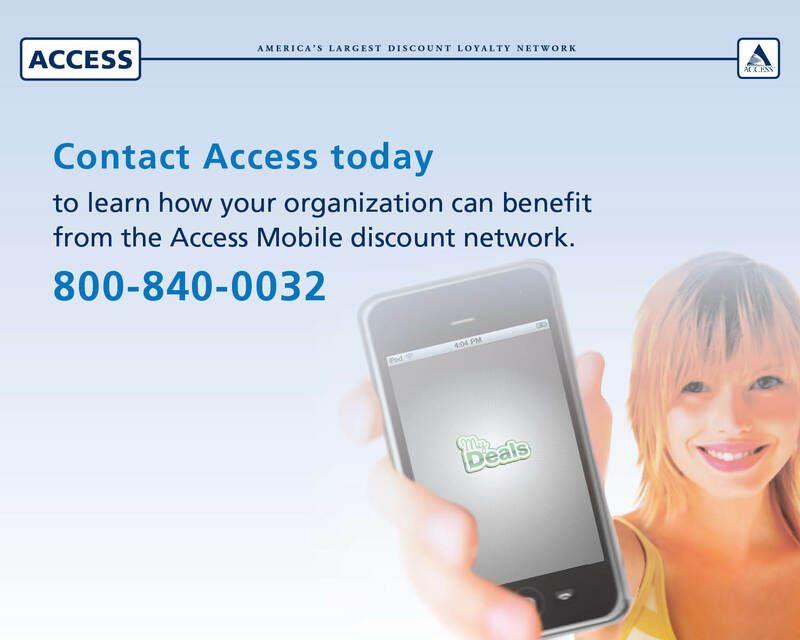 Contact us today for a product demo of the Access mobile network and to learn how it can help support your organization’s loyalty, acquisition and upsell efforts.